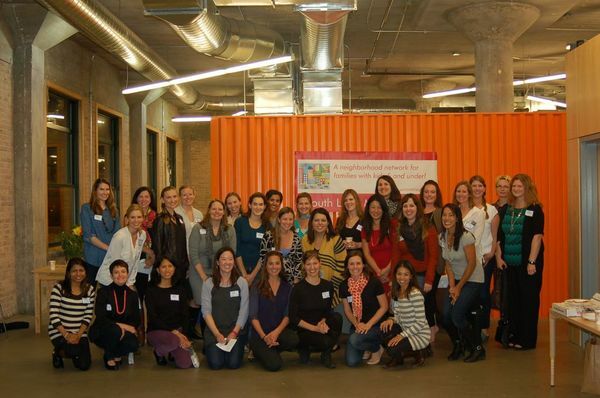 South Loop Mom N Tots (SLMNT) was founded in 2001 – by a mom who was expecting her second child. She knew her first born would need some playmates as they adjusted to the new family size, so she posted a notice in the Jewel at Roosevelt and Wabash. What began with six moms has grown to include working, stay-at-home, or otherwise moms who want to get together to support one another, share in the joys of parenthood, and explore one of Chicago’s most family-friendly neighborhoods. Between playgroups, holiday activities, Moms-Nights-Out and family events, SLMNT is a unique resource for South Loop moms and their families. Explore the rest of this site to learn more. Interested in joining SLMNT? Visit us on Meetup!